Everyone is sure to relish this tempting, Indian-style corn soup. This refreshing soup is a great energiser and will surely establish your culinary skills. Serve hot with garlic bread, to make an absolutely low calorie 'hearty' meal. Manchow soup, an all-time favourite, this soup is an ideal starter for any meal. The sharp flavours of ginger and garlic merge beautifully with the fresh flavour of herbs like coriander and mint in this soya sauce based soup. Even the “one by two” option is enough, as this soup is so filling! 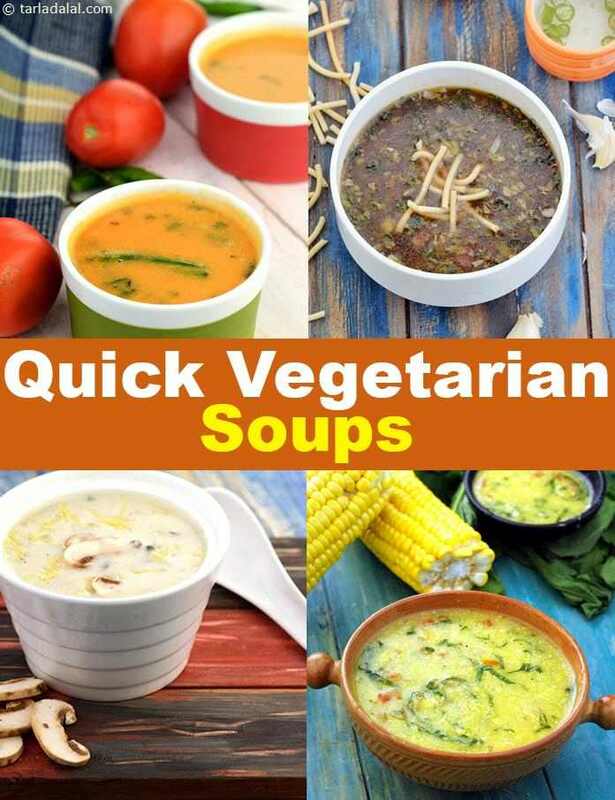 Creamy vegetable soup is quick and is also good for kids as it has no spice and add a little grated cheese to it and your kids will surely relish.